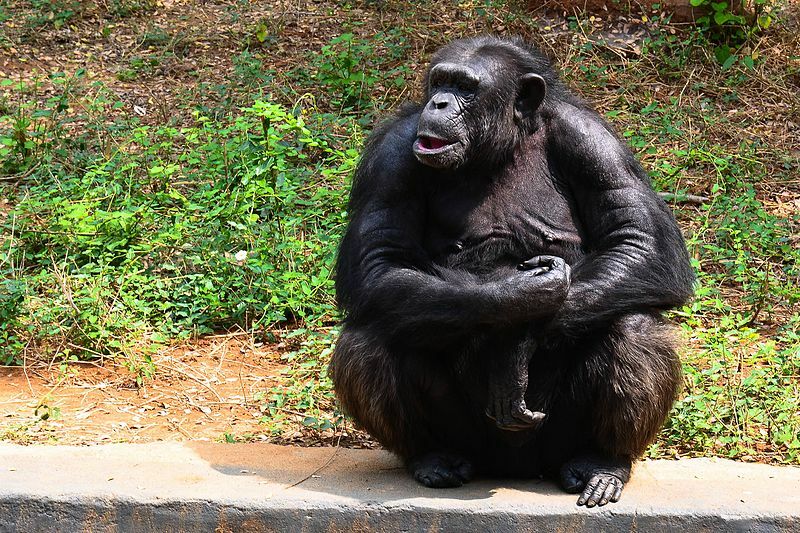 New research by James Rossie, an associate professor of anthropology at Stony Brook University, and the late Yale University anthropologist Andrew Hill, may explain a missing link in the evolutionary history of primates. A paper published in the December 2018 edition of the Journal of Human Evolution explores the reason behind why the world’s smallest known ape species went extinct. While researching in Kenya 14 years ago, Rossie uncovered teeth that belonged to what may be the smallest ape species in history, according to the paper. He spent years traveling back and forth between the United States and Kenya, where the teeth are now placed in the National Museum in Nairobi, to observe and collect data. The ape teeth may begin to tell a story of how small leaf-eating apes from the Miocene Epoch (ending about 5.333 million years ago) were replaced by small leaf-eating monkeys called colobines. “Hopefully there’d be something about [the ape tooth fossils] that tells us, or at least gives us a clue, of why these apes went extinct,” Rossie said. Rossie’s findings seem to illustrate that colobines were in evolutionary competition with Miocene apes like the ones whose fossilized teeth were found in the Tugen Hills. Though Miocene apes had crested teeth suited for chewing leaves, colobines’ bodies were better suited for a leaf-eating diet due to their ridged teeth and stomachs suited for leaf digestion. “They sort of act like scissors to sheer up the leaves really well,” Dr. Christopher Gilbert, an assistant professor of anthropology at Hunter College, said, referring to colobine teeth. Gilbert has an interest in colobines and leaf-eating primates, and has worked with both Rossie and Hill on previous papers. Yale University Professor of Anthropology David Watts, a colleague of Hill’s, was surprised by the discovery. He sees the survival of a leaf-eating ape without specific digestive evolutions as unlikely. “It couldn’t afford to fill its stomach up with leaves and wait to digest them, and wait for the energy to come,” Watts said, speaking to the slow digestive process of the tiny Miocene ape. Rossie pointed out that there is much more to find. “Ultimately, it’s nowhere near as much as we need to learn. I hope this will encourage my fellow researchers to keep looking for Middle Miocene localities in Kenya,” Rossie said. He’s hopeful that, through continued scientific work, more information about the fall of small Miocene apes may be discovered.